WASHINGTON (World Bank press service) — About 2.5 mln people are expected to benefit from local integrated development and the promotion of sustainable tourism in Issyk-Kul Oblast, thanks to a new phase of the Central Asia Regional Links Program. On October 5, the World Bank’s Board of Executive Directors approved the Third Phase of the Central Asia Regional Links Program (CARs-3), to the amount of $55 mln from the International Development Association (IDA), including $27.5 mln as a concessional credit and $27.5 mln as a grant. An additional grant of $1.93 mln is also provided from the Korea World Bank Partnership Facility (KWPF) for technical support and leveraging the Korean experience in the development of national territorial plans. The capital of this region of Kyrgyzstan is Karakol. It is surrounded by Almaty Region, Kazakhstan (north), Chuy Region (west), Naryn Region (southwest) and Xinjiang, China (southeast). It takes its name from Lake Issyk-Kul (“warm lake”), the second largest saline lake in the world, which never freezes despite its altitude in the Tian Shan mountains. The Third Phase of the Central Asia Regional Links Program will directly benefit residents of Issyk-Kul Oblast involved in the tourism sector and exporters of agricultural produce to neighbouring Kazakhstan and beyond. Users of road and aviation transport — including visitors from Kazkahstan, Russia and Europe — will benefit from improved roads and aviation safety and better cross-border connectivity and revitalized economic exchanges along the Silk Route in Central Asia and beyond. The rehabilitation of roads will promote tourism and trade, connect people to markets, and create additional jobs. The Project will finance the rehabilitation of existing road links connecting Issyk-Kul Oblast of Kyrgyzstan with Almaty Oblast of Kazakhstan. The distance from Almaty to Issyk-Kul regional capital Karakol will be nearly halved. Tourists from Kazakhstan, who make up nearly 70% of all tourists in this area, will have better access to recreational and historic destinations in the Kyrgyz Republic. Tourism industry know-how and global best practices will be applied to develop a long-term development strategy for Issyk-Kul. International experts estimate that tourism has the potential to grow six-fold in the Kyrgyz Republic, especially around the Issyk-Kul Lake region. The Korea World Bank Partnership Facility (KWPF) will provide grant support and expertise, through the World Bank, to co-finance an integrated regional development strategy, including potential investments for the public and private sectors. The KWPF will help prepare complementary projects as well as an Issyk-Kul Investors’ Forum planned for 2019. Creation of pilot geoparks will be supported in two districts, Aksuu and Tyup, combining sustainable tourism development with community-based initiatives. International-level aviation safety and security will be attained by strengthening aviation safety and increasing aviation personnel proficiency. The Project will finance activities to support the government in addressing safety audit concerns of the International Civil Aviation Organization (ICAO) and move toward exiting the “European Union blacklist”. The Central Asia Road Links-3 Project is part of a series of projects with multiple countries. The Central Asia Road Links Program builds synergies with other regional initiatives pursued by other development partners, such as the Central Asia Regional Economic Cooperation – 2030 (CAREC) program led by the Asian Development Bank, the Euro-Asian Economic Union, and China’s Belt and Road Initiative. 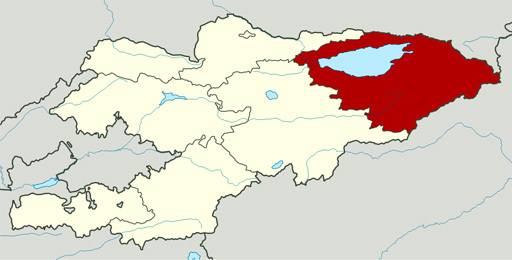 The Third Phase of the Central Asia Regional Links Program will be implemented during 2019-24 by the Ministry of Transport and Roads, in close coordination with the Prime Minister’s Office, the Department of Tourism within the Ministry of Culture, Information and Tourism, and the Issyk-Kul Oblast Administration.